Top: H&M (similar) // Skirt: TJ Maxx (similar) // Sandals: Ross (similar) // Necklace: Sassy Chic Boutique (similar) // Headwrap: Oh My Chic! BUT! For this awesome holiday, I'm offering 24% off anything in my Etsy shop for the 24th! Just use code "24" at checkout (in the note to buyer)! You can choose to get this chevron one I'm wearing or choose any other headband or pillow cover! So, run and go get yourself some goodies! You can find my Etsy shop here! Love this look! and looks super comfy! Okay, I am loving ALL of this! I wish I could pull off this look! You are beautiful! 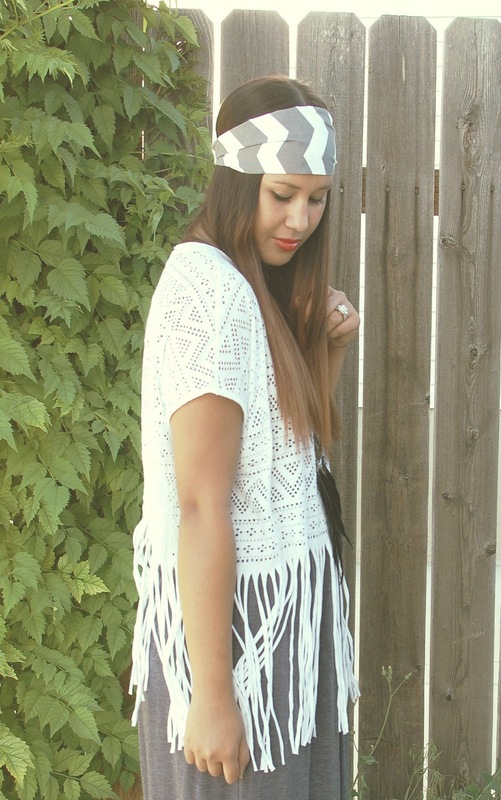 I adore the headband and the fringe top, you look super cute, and even better, comfy! 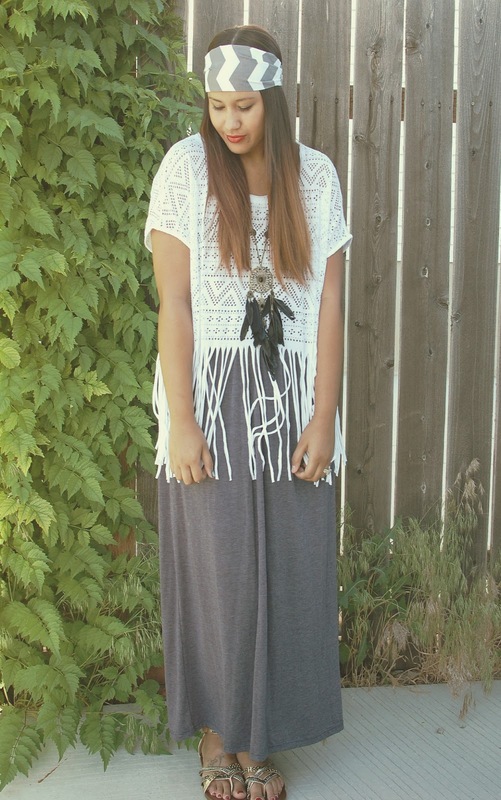 Loving this boho chic look! That fringed top is absolutely gorg. love the boho vibe here. pretty top, too! just love this look, dear! ooo i didnt know you had an etsy!! i'm going to go check it out right now. and i LOVE this outfit of yours- i esp. 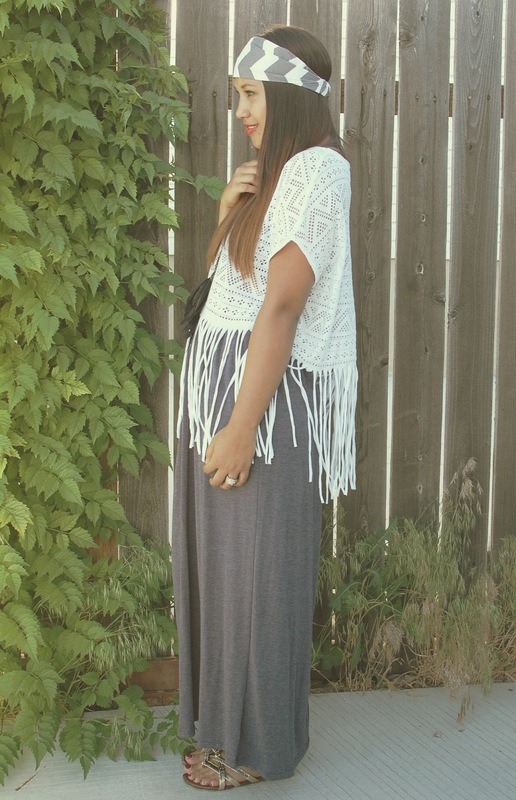 love the fringe top layered over that maxi. it looks so so good. and pioneer day sounds really cool, what do you guys usually do for it? love the headwrap! you rock it!